Are you searching for easy autumn wedding reception ideas? 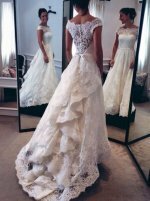 A popular trend among brides today is to weave in references to the season in which they are marrying into their weddings. This is especially true for brides who are marrying outside of the summer season. Many couples choose to have a theme based on the season and with the fall you have a beautiful season to start with which can easily transfer over to one gorgeous wedding. When coming up with autumn wedding reception ideas one of the first things you might want to do is decide on the colors you are going to use. The most popular autumn colors include dark yellow, orange, and red. Of course, you can use other colors as well but these colors remind people of fall days, falling leaves and the immense beauty of the season. So how do you find the perfect autumn wedding flowers? 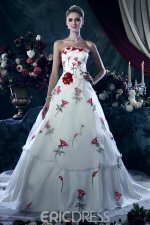 One method is to choose wedding flowers which match the colors of your wedding. So if you choose colors such as yellow, orange and red you can easily match your wedding bouquets, centerpieces and arrangements to those colors. Certain flowers, such as roses, come in many colors or are easily dyed to match your specific wedding colors. Of course you might also choose to use flowers which are available specifically in the fall. Using flowers of the season is a great way to highlight the beauty of autumn in your reception and ceremony. Some great choices for autumn wedding flowers include lilies, heather, cosmos, mini calla lilies, aster, yarrow, lavender and marigold. When you are thinking of autumn wedding reception ideas, it is a great idea to make the wedding cake more season appropriate. There are several ways you can do this. One way would be to match the color of the frosting to your other wedding colors. You could also add leaves or fall wedding flowers to the cake. If you want just a touch of the season you can focus your special decorating touches on the cake jewelry, cake topper or decorating the table itself. 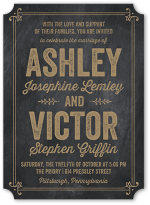 If you are serious about obtaining autumn wedding reception ideas you should keep the season and colors in mind when choosing your wedding stationery. There are so many different types of wedding stationery products that you may use for your wedding. 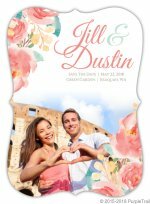 Of course you will buy wedding invitations, but you may also need engagement announcements, engagement party invitations, bridal party invitations, rehearsal dinner invitations, thank you notes, or marriage announcements. The good news is that there is a lot of different fall theme related stationery out there for you to choose from. If you choose to start your wedding theme early you can highlight the autumn season from the time your guests get their first formal announcement or invitation. Finally, our last autumn wedding reception ideas - if you want your guests to truly remember all the details of your autumn wedding, it is a great idea to give away fall themed wedding favors. Fall favors could be a number of things but most either are decorated in fall themes (such as pumpkins or falling leaves) or they have a fall taste to them (such as apple cider, pumpkin cookies or pumpkin spiced cappuccino mix). Have fun choosing these favors!